Taken at the Tidal Basin in Washington, DC during the Cherry Blossom festival. This woman was painting the scenery the good old fashioned way. She was quite good at it too and looked like a pro. 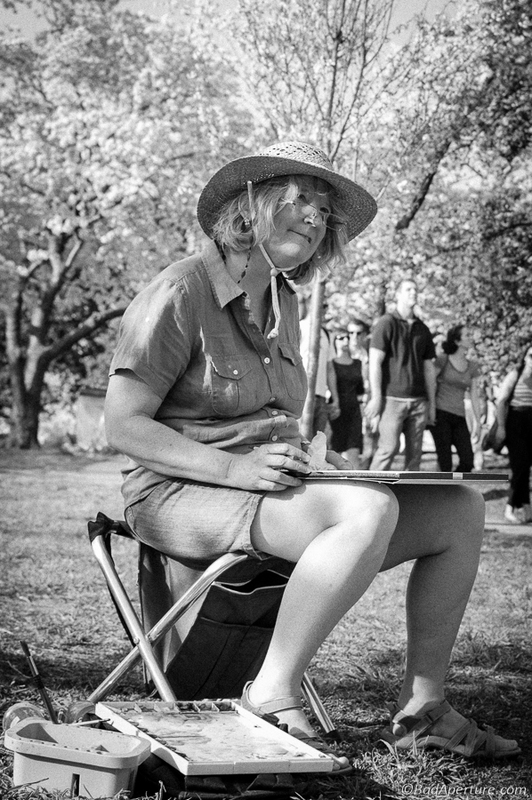 At one point a crowd had gathered behind her to watch what she was painting.